Western Union has become the latest target of one of the Internet’s more sophisticated dethroning campaigns – and, it seems, has already lost the battle to contain the consequences. An image posted to Facebook depicting an altered version of the company’s own advertisement, changed to include a direct comparison with Bitcoin, is currently going viral. 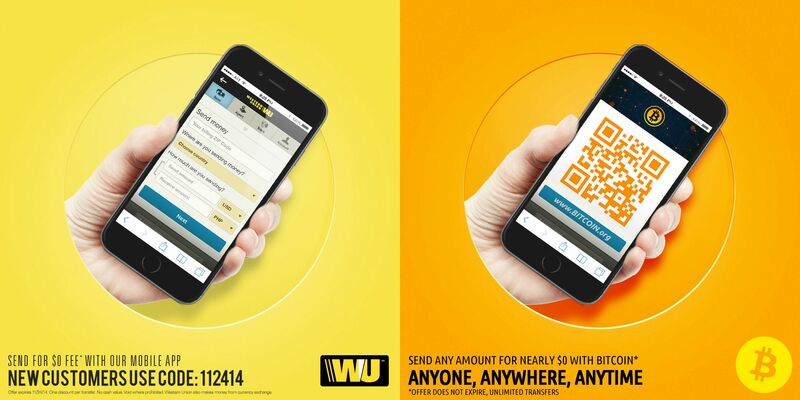 The image shows the cost of sending money using Western Union, with the cost to do the same operation in Bitcoin displayed alongside, also with light mockery of the original advertisement’s slogan. Western Union allegedly took action to have the image removed, whereupon the removal confirmation from Facebook was linked to via Reddit. The confirmation still contained a visible copy of the image, however, and as the Reddit user points out, has placed Western Union at the center of the ‘Streisand effect’ phenomenon. As also reported by BTCfeed, the Streisand effect means that Western Union’s efforts to remove the image for fear of negative publicity has ironically become the cause of considerably wider publicity than would arguably have been the case otherwise. Western Union CEO Hikmet Ersek has previously spoken out about Bitcoin in a way which drew confusion from the community. In June he told Bloomberg that the company would not consider Bitcoin integration “until it is regulated like a currency.” The extent of the requisite regulation was not expanded upon. Now it seems that time is running out for an official stance to be taken, with Bitcoin’s growing popularity, security and ease of use making it an increasingly obvious alternative for many money transfer operations. The advertising blunder has seemingly sparked a trend, with the following similar image poking fun at the company’s mobile app appearing on Imgur. Meanwhile, the Bitcoin market is awash with operators looking to target specifically the stranglehold of traditional fiat remittance services. One such recent launch is Bitspark, a Hong Kong based cash remittance service specifically targeting the city’s Filipino migrant population. Recipients in the Philippines are able to pick up BTC as cash in over 30 banking locations in the country.